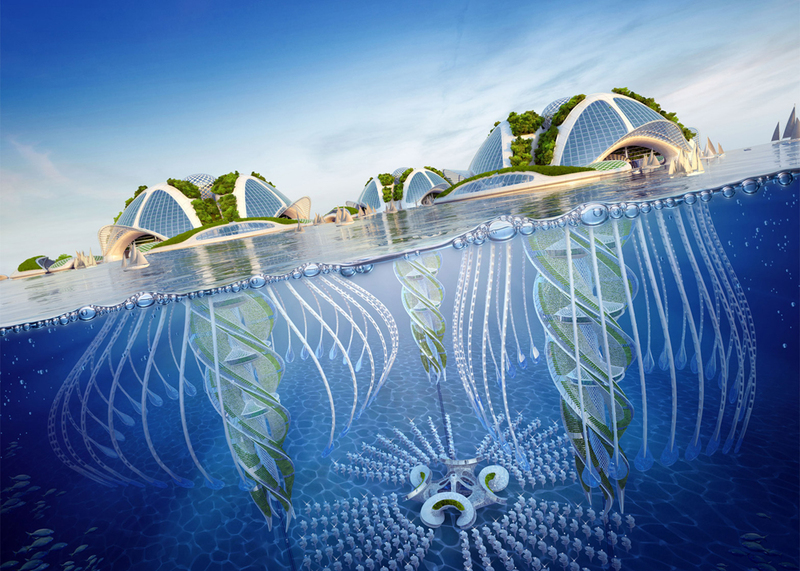 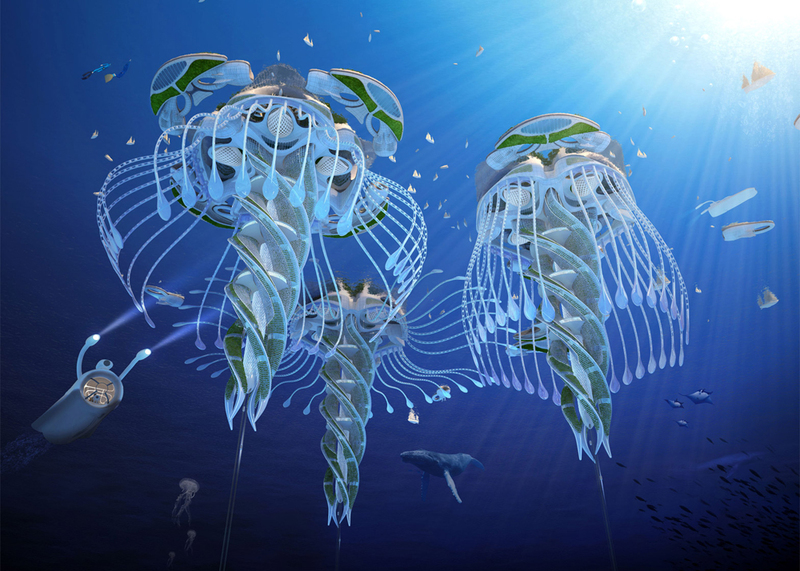 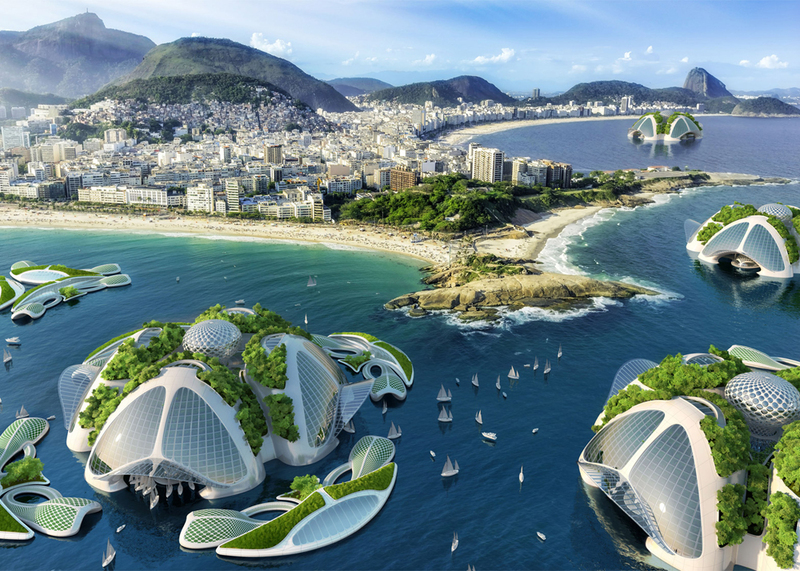 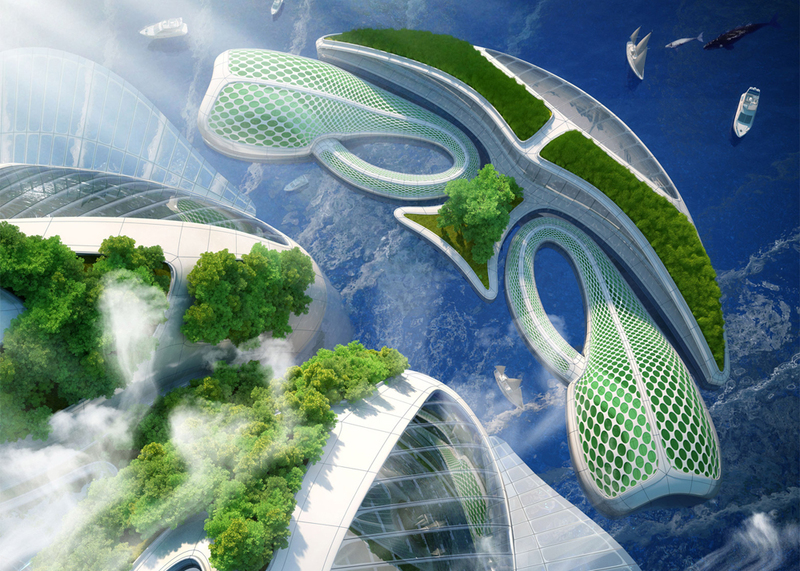 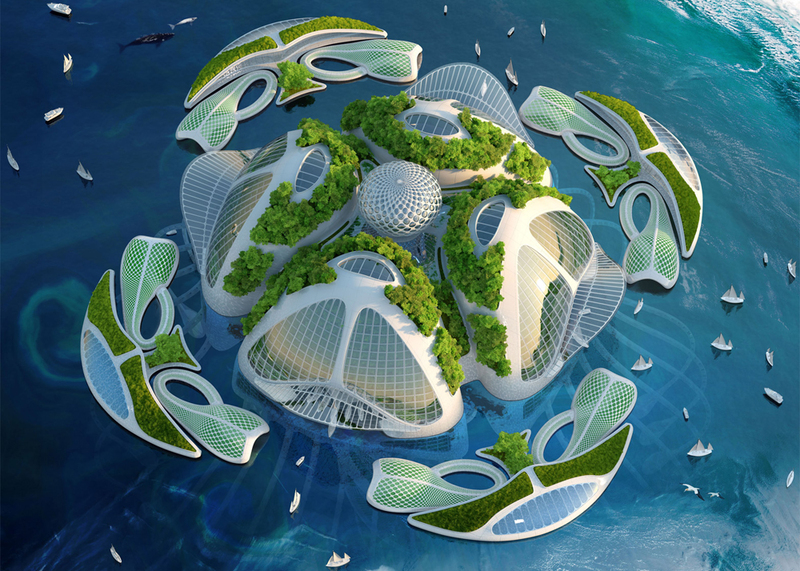 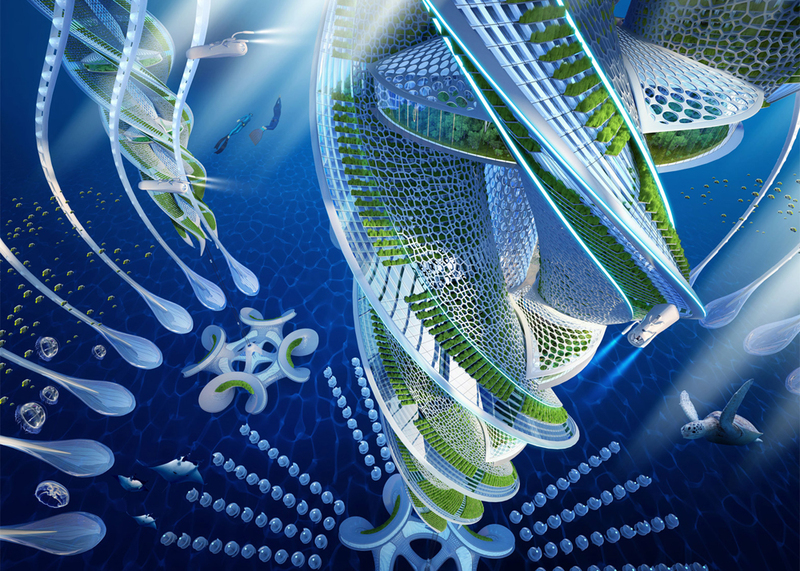 Belgian architect Vincent Callebaut developed plans for an amazing oceanic city built out of recycled rubbish. 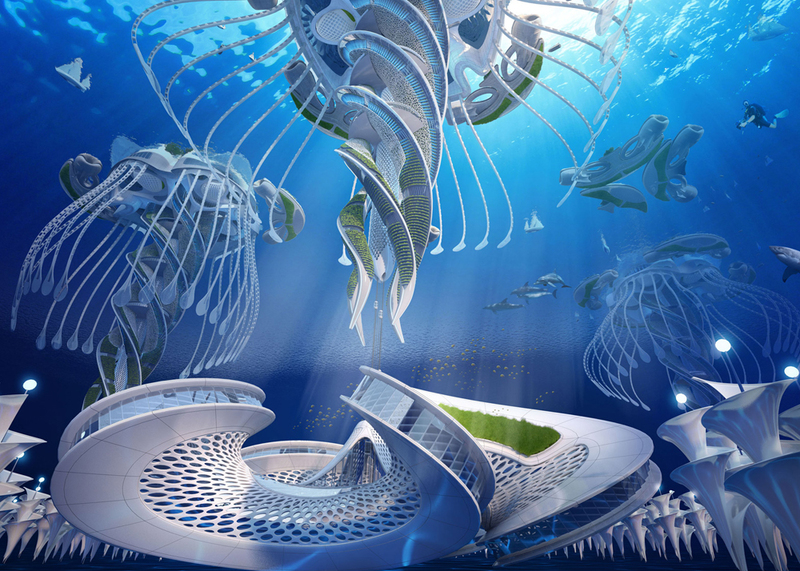 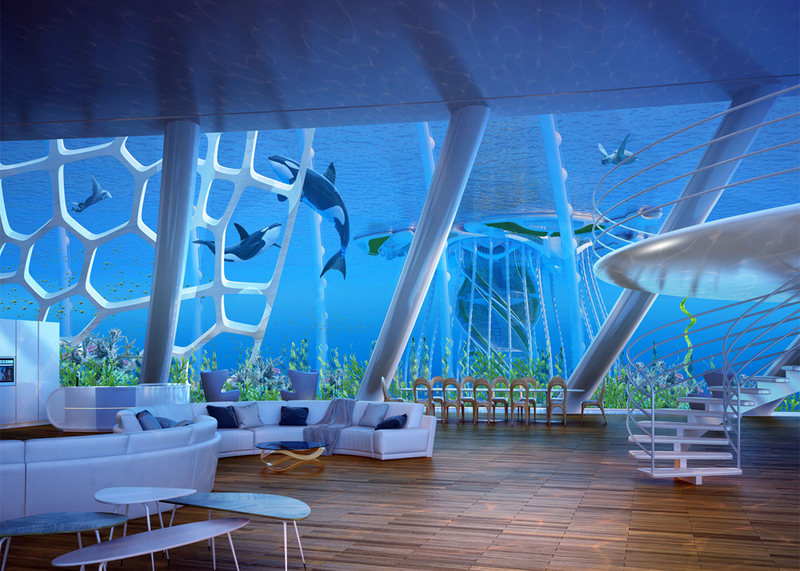 This futuristic building proposal extends 1,000 meters down into the depths of the sea, and plans to be made entirely of 3D-printed plastic waste materials. 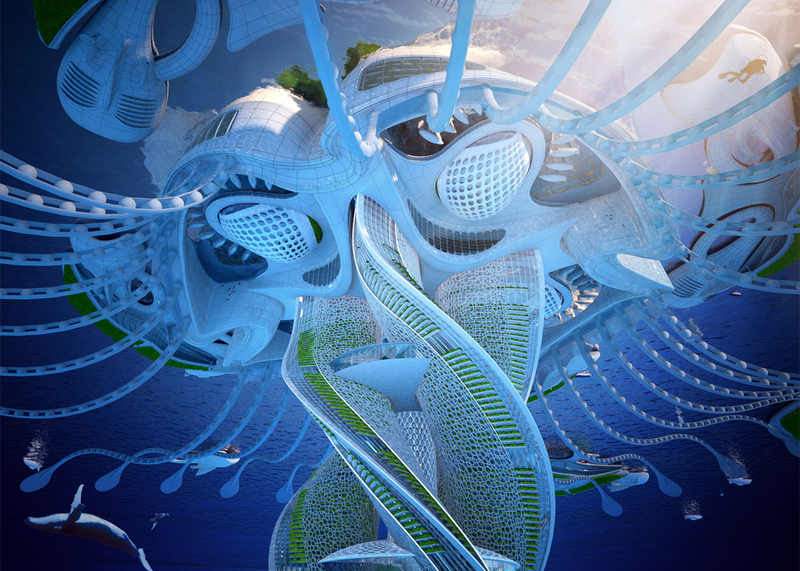 Named for a species of bioluminescent jellyfish, this fictional city goes by the name of Aequorea. 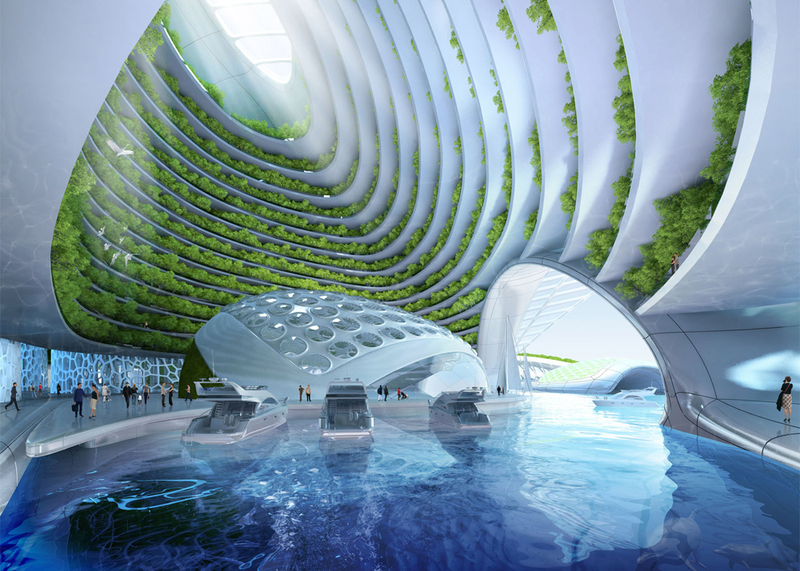 The architectural concept serves to highlight our current situation of dwindling natural resources as well as the overwhelming need to clean up our waste-filled oceans. 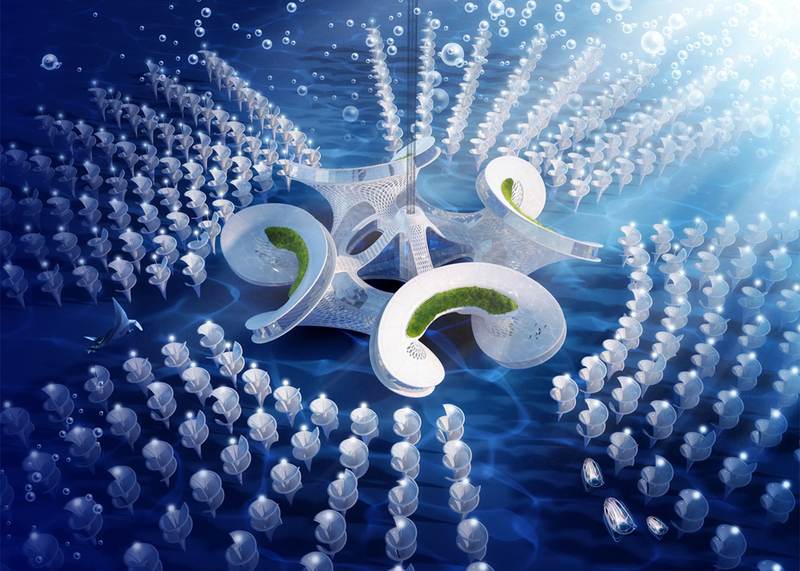 These proposed “seascrapers” would be composed entirely from a material made by mixing algae and rubbish, 3D-printed to create the extensive network of city towers and complexes. 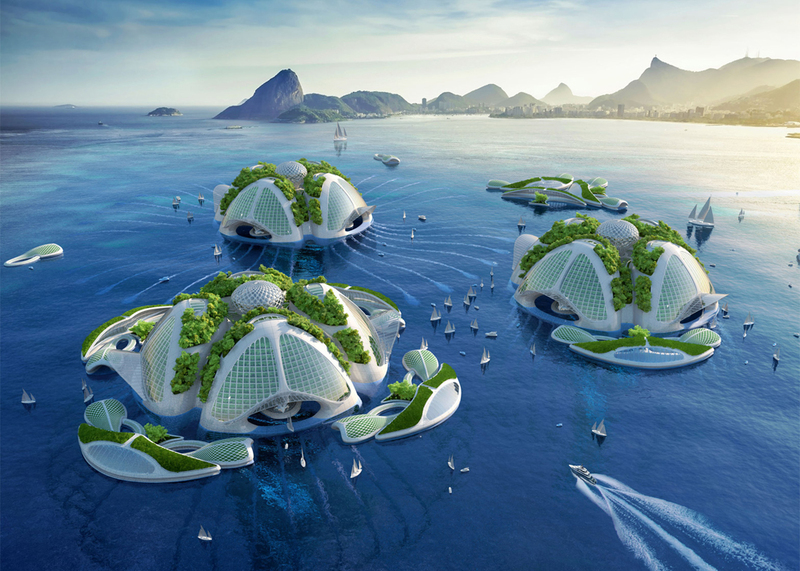 Life would be sustained with renewable energy sources – food would come in the form of farmed algae, plankton, and mollusks, with vegetable gardens and orchards grown just above water level. 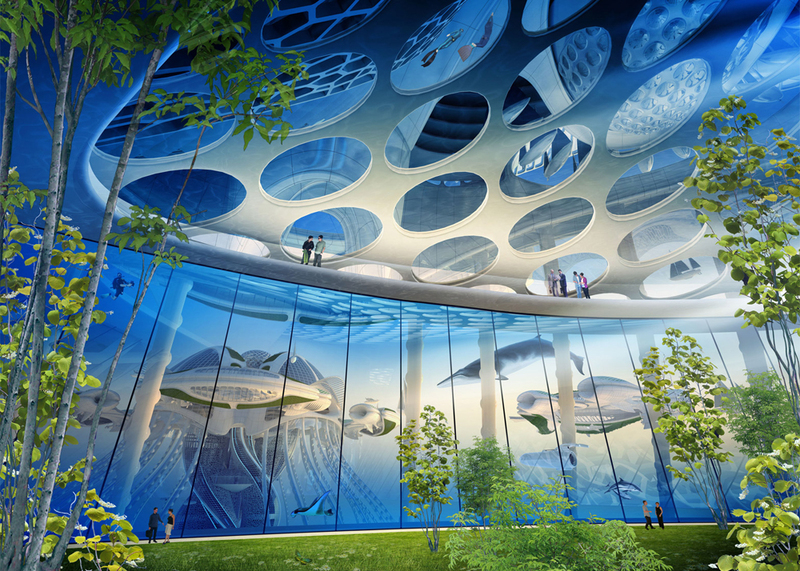 There are also 500-metre domed marinas designed to provide access to the underwater environment. 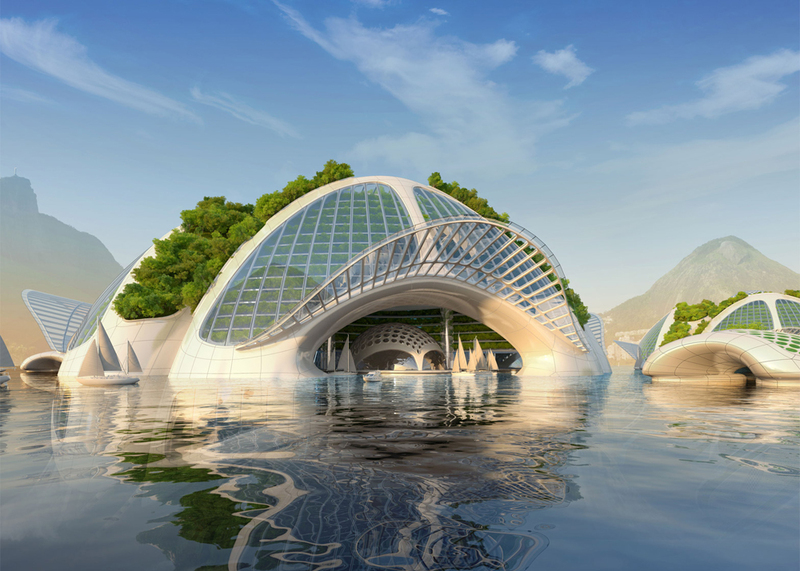 The entire structure seems almost too good to be true, but technology is advancing so quickly that recycling our rubbish to create new and sustainable structures may be the ultimate way to continue forward. 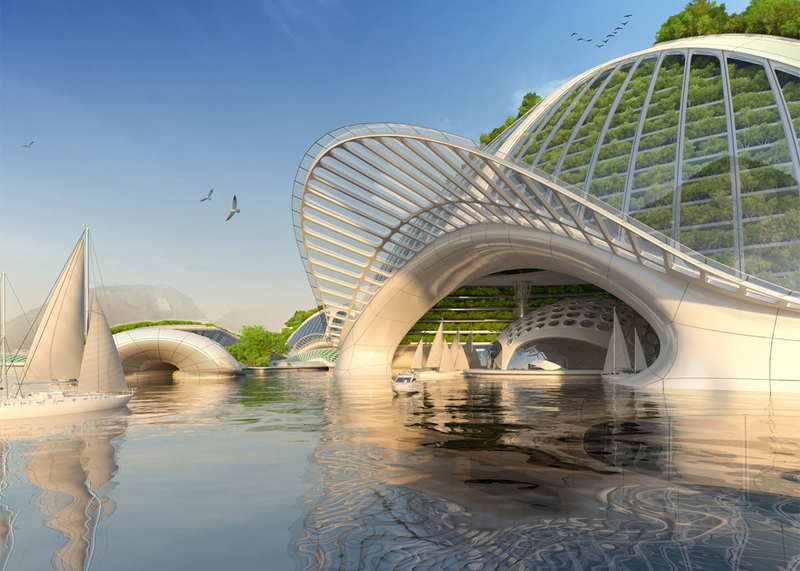 With ever-rising water levels, perhaps Aequorea, or concepts similar to it, really are the way of the future. 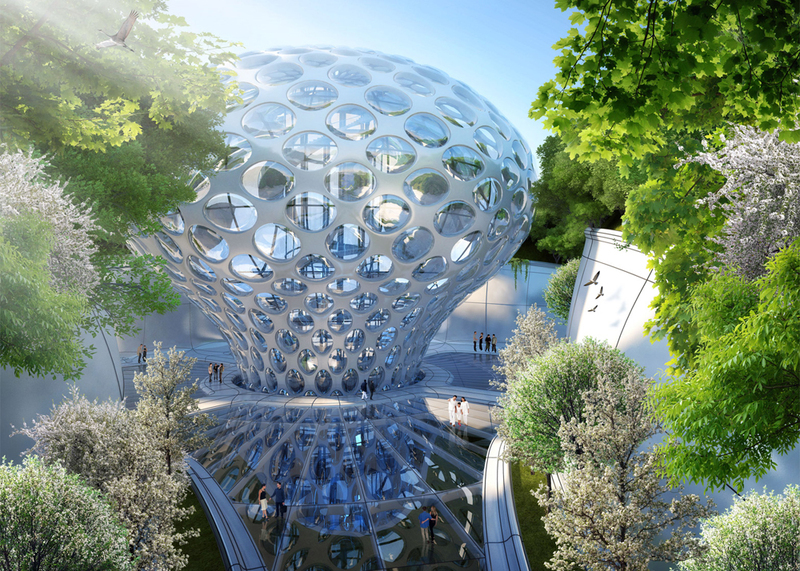 Callebaut has a number of other conceptual plans.